Life has returned to the salt marsh. Sea birds eager to feed. Chasing down fish schools and insect hatches if not willing yet able to provide said feed. The salt scented breezes lend rhythm to sedge grasses reanimated with life. Few things stir the soul like the nascent green of marsh born anew. Fresh color courses with unmasked energy as the circle of life finds its zenith. Only then when paired with the golden hue of the late day sun does nature pull back the veil on life resplendent. It was just so out on Dock Road yesterday. The culmination of light, life, and timing. A sublime joy found in the realization of a patient annual wait. 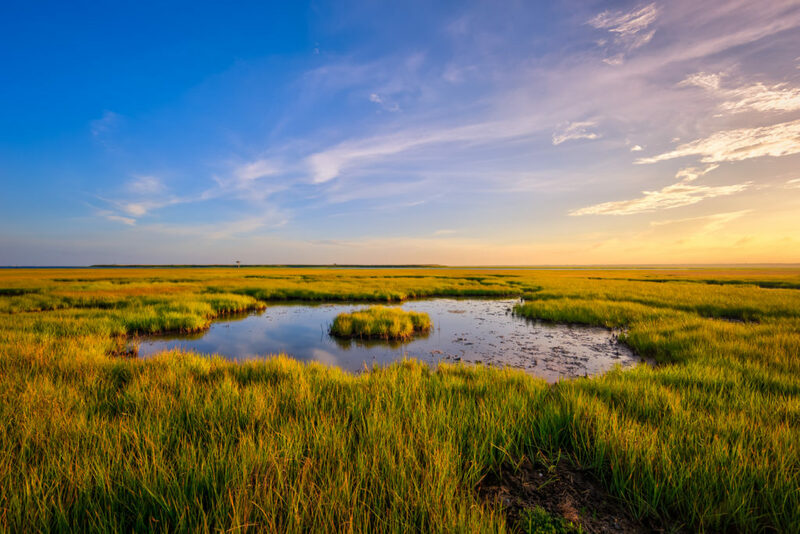 For the next six weeks or so we’ll find refuge in the glory of the salt marsh come live.